The Omega-3 fats, fiber and lignans in flaxseed make it one of nature’s finest “nutraceuticals.” (Find out why in the Flax for Your Health section). But even beyond its healthy fats, tasty fiber and cancer-fighting lignans, flaxseed possesses an advantage in overall nutrition. The protein found in flaxseed is very similar to soybean protein, considered one of the most nutritious plant proteins due to the amino acids present. Flaxseed protein is of significant benefit to vegetarians relying solely on plant sources to meet daily protein requirements. High in protein (17%-22%), flaxseed has an excellent amino acid profile, containing numerous “essential” amino acids that the human body can not produce. Laden with essential vitamins and minerals, flaxseed is particularly rich in potassium, providing about seven times as much as a banana on a dry weight basis. The vitamin E present in flaxseed is primarily gamma-tocopherol, which functions as a biological antioxidant. Good fats, tasty fiber and lots of cancer-fighting lignans—flaxseed packs a powerful health punch in the tiniest of packages. Every shiny little flaxseed contains about 40% lipid. At least 55% of this total fatty acid is of the highly beneficial omega-3 family. We now know that consuming these plant-derived omega-3’s offer some unique heart healthy benefits. 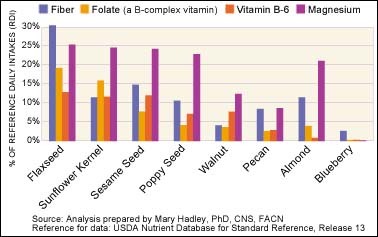 Flaxseed and ground flax have more than three times as much omega-3 as omega-6 fatty acids, giving it an n-6/n-3 ratio of 0.3 to 1 compared with 58:1 for corn oil; 7:1 to soybean oil and 2:1 for canola oil. Flaxseed is a natural inflammation fighter because its omega-3 fatty acids are in the form of alpha-linolenic acid (ALA). And now new research indicates that ALA, in particular may be even more effective than the EPA and DHA found in fatty fish and fish oils in lowering the risk of some coronary vascular disease problems such as arrhythmia (abnormal heart rhythms and platelet aggregation (blood platelet stickiness). More recent research suggests that ALA plays a crucial anti-inflammatory role in reducing heart disease risk. Its ability to lower blood levels of C-reactive protein (CRP), which is associated with artery inflammation, now may be considered as important in preventing heart attacks and strokes as lowering bad (LDL) cholesterol levels. Up to a 70% reduction in human deaths from coronary heart disease is associated with diets rich in ALA, such as Mediterranean diets, compared with typical western diets low in ALA. It’s why the American Heart Association’s Dietary Guidelines now recommend including high ALA sources, such as flaxseed, in healthy diets for the general population. Results from heart disease prevention studies suggest that daily intakes of between 1.5 g and 3.0 g of ALA are very beneficial. Each tablespoon of whole flaxseed contains well over a gram of ALA before grinding. So get out that coffee grinder, toss in some flax and “pulse” to your health! Flaxseed is literally loaded with lignans. Lignans are phytonutrients found in the fiber portion of flax seed. Flax contains 75 - 800 times more lignans than other plant sources. Lignans are sometimes called phytoestrogens, because they weakly mimic the action of estrogenic hormones in the body. Research continues to show their potential for minimizing many of the negative effects of estrogenic compounds in humans, reducing the risk of hormone-dependant cancers of the colon, breast and prostrate. Research has also shown that these dietary flaxseed lignans may help reduce several menopausal symptoms. Lignans also possess powerful antioxidant and anti-inflammatory properties associated with a lower risk of artery-clogging plaques and diabetes. In fact, the major lignan in flaxseed, called SDG (seicoisolarciresinol diglucoside), is a remarkable antioxidant—associated with reducing both Type 1 and Type 2 diabetes as well as lower blood glucose levels. Research is also documenting the unique benefits of other antioxidants, such as flavanoids and phenolic acids that are so plentiful in flaxseed. 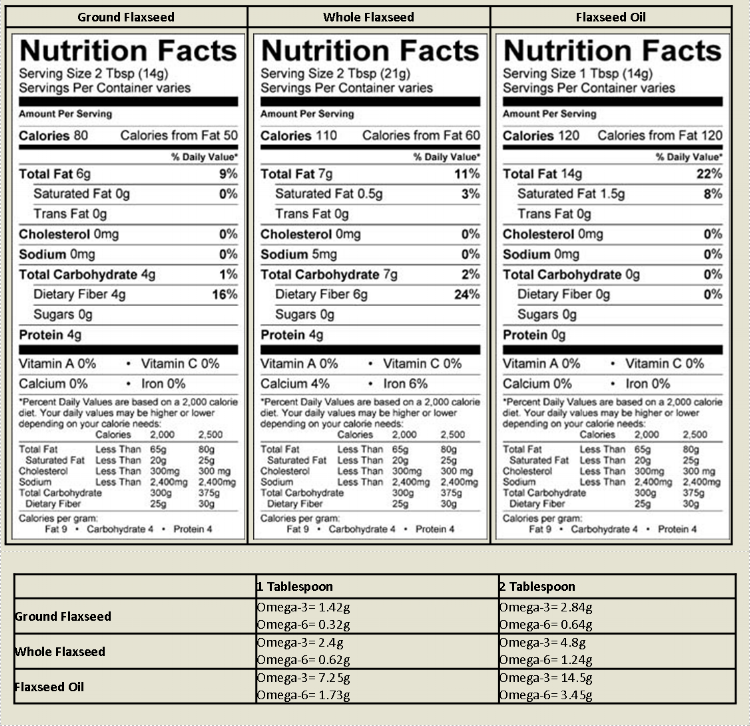 Hard to believe, but flaxseed is almost a third (28%) fiber. And that’s a big deal, because according to the American Dietetic Association, dietary fiber can have a “significant impact” on the prevention of obesity, cardiovascular disease and Type 2 diabetes. Just an ounce of flaxseed provides over 30% of USDA’s Recommended Daily Intake (RDI) for fiber. And flaxseed delivers this satisfying fullness deliciously, resulting in better appetite control and weight loss. Flax fiber is high quality, with a perfect range of soluble and insoluble fiber. Soluble fiber reduces cardiovascular disease through lowered blood cholesterol levels. Insoluble fiber is what keeps our digestive system moving. It’s why the fiber in flax is well known for its important role in constipation relief and good colonic health, reducing the risk of colon cancer.